Vaughn Ventus SLR Junior Chest & Arm Pad | Sports Etc. The Ventus SLR Junior chest protector is one of the most protective shoulder and arm pads on the market today. 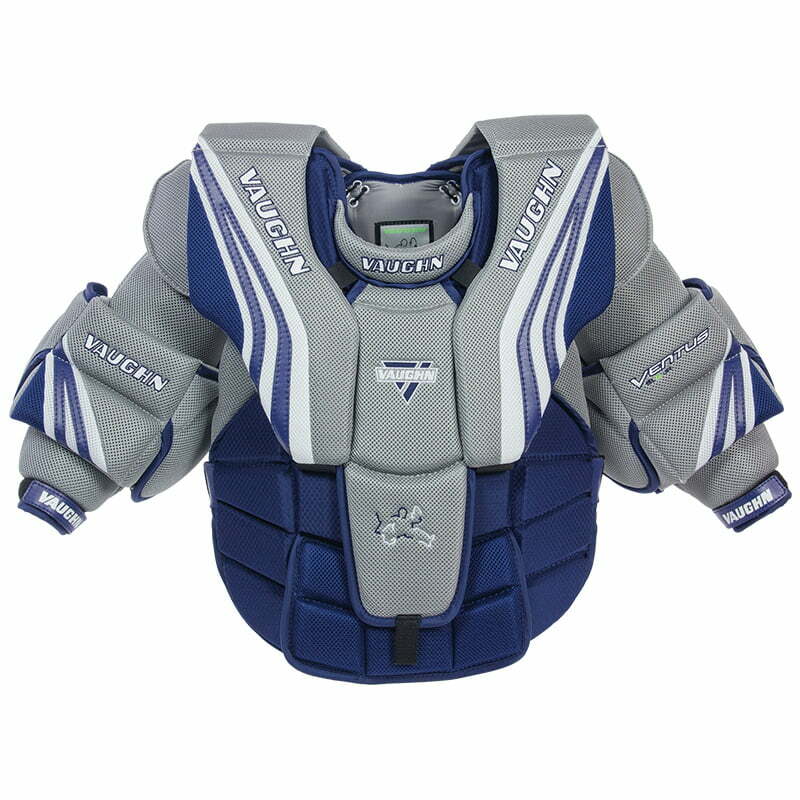 The large shoulder floaters and large sternum plate provide maximum protection for a youth goaltender. The adjustable lace on the back, and rib cage extension pad allow for a cuztomized fit. Sports Etc Performance To Value Rating– 9 out of 10. An extremely flexible, lightweight and durable chest pad. One of the best and most affordable chest pads on the market for a junior sized goaltender.